Well we really do offer you the best prices and genuine value for money over a range of deals as well as real industry experience and professional reputation. With over half a lifetime in the industry BrickBeat’s Maurice Mulligan has built a deeply respected engineering and production pedigree both in the UK and North America. Maurice has quite literally worked across the world covering a range of music projects and tours with many well-known and respected artistes. So if you need some serious advice about Publishing, Music Business and Music Law or recording technology and development feel free to ask. Maurice is also a fully qualified college lecturer and assessor having taught at a number of colleges in the region and is still listed as a full-time member of staff at Milton Keynes College. His music career has taken him across the UK, Europe and the USA and over the years Maurice’s clients have included: Thin Lizzy’s Philip Lynott, acoustic guitar legends Bert Jansch and Gordon Gilltrap as well as Velvet Underground viola supremo John Cale. Maurice also worked closely for many years with seminal Irish rockers Stiff Little Fingers as well as Kirk Brandon’s Spear of Destiny, the wonderful Dave Sharp from The Alarm. He even spent a lengthy sojourn during the early 1980s “letting off fireworks across Europe as a favour for a mate” with stadium royalty – Queen! If you have been involved in the East Midlands music ‘scene’ long enough you might just remember EmmNet the East Midlands’ Music Network. Representing Lincolnshire Maurice was a key member of this large Arts Council funded project which helped to provide funding, develop and promote contemporary music from the region. Then take it out onto a nationwide platform – remember James Morrison and Kasabian? So if you need some direction or advice on music business law, copyright or business procedures please do not hesitate to contact him through this site. Although we can provide you with live production support and advice we do not offer hands-on services these days. The studio now concentrates instead solely on recording and production although we can provide you with assistance in finding and completing funding applications through PRS, Musicians Union and the Arts Council England. As well as being an experienced and sympathetic engineer Maurice is also a musician and writer who can understand your own needs and offer constructive support whenever it is needed. The Studio sits at the end of a small courtyard on Danesgate Lincoln. The studio building was originally used as Lincoln’s Usher Art Gallery’s restoration department and working from scratch the studio was designed and built by Maurice and opened in the summer of 2009. Originally BrickBeat operated on a platform of Mac, Logic and a Soundcraft 24 track 2″ analogue tape machine but space was at a premium and the old warhorse sadly had to go. 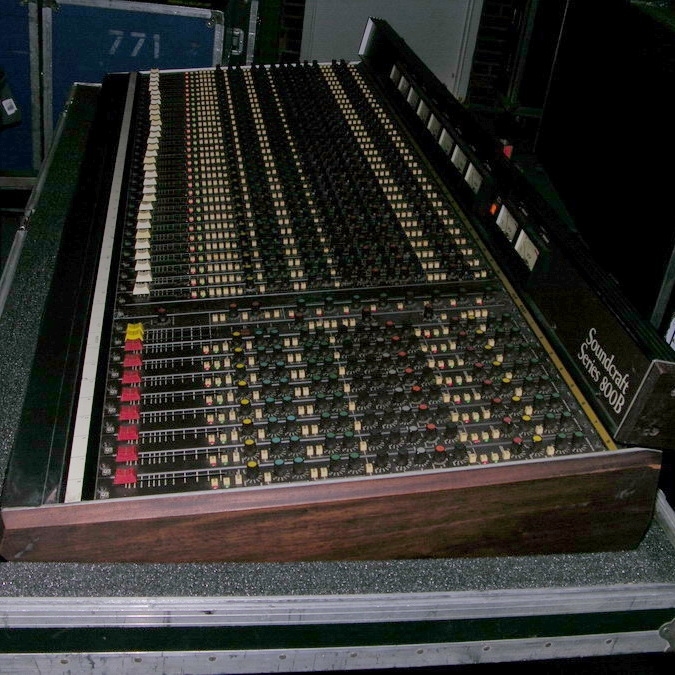 Incidentally the 24 track and it’s 32 channel brother (Soundcraft 800B) came from the BBC’s Maida Vale Studios where they had been designed and built for in the 1980s by Souncraft. You can only imagine some of the sessions recorded on that system over the years! The main live room has an elevated timber floor for isolation as well as movable acoustic studio panels to develop your ideal audio environment. The ‘dead’ room is mainly used for vocal overdubs and isolation and has been fully designed and treated to create a dry room while still avoiding that ear-blocking feeling of total isolation common in a lot of vocal booths. BrickBeat Recording Studio offers a range of different audio services. The studio will help you to develop your own compositions and arrangements as well as composing original ‘library’ tracks for theatre, film and radio. BrickBeat can also provide live location recording and production engineers and services for bands and other projects. The studio offers well-priced, friendly professional recording services for everyone. BrickBeat will work with bands, solo singers and writers, as well as Hip Hop/Dance artists and producers. The studio also provides the popular ‘Star For The Day’ packages. New performers can enjoy the studio experience here while we record them singing along to their chosen backing tracks. If you are a local business looking to advertise on a local radio station, why not consider commissioning your own audio soundtrack or podcasts? We will be happy to meet to discuss your requirements then write and crate the music as well as commission professional voice-over artists to help promote your company profile. Call Maurice to discuss your requirements on 07789 402069 or FOLLOW THIS LINK to get in touch!